Texas Pastor Council, a Citizen Ministry. A group of pastors who came to be known nationally as the "Houston Five", unveiled the "Texas Toilet Seat Awards" to several Texas State Senators. HOUSTON, TX, UNITED STATES, March 29, 2017 /EINPresswire.com/ — "Texas Pastor Council": A group of pastors who came to be known nationally as the "Houston Five", surrounded by pastors from throughout the Greater Houston area stood together again Monday in a videotaped, media-style conference to make statements calling on Texas House of Representatives to vote on and pass Senate Bill 6, the Texas Privacy Act. At the conference, the pastors unveiled the "Texas Toilet Seat Awards" for each Texas State Senator who voted against SB 6 as well as Speaker of the House Joe Straus for opposing and trivializing the bill. The pastors representing "every color of the church" also sent a warning to Representatives who do not support the bill that there may be an "award" waiting for them as well. The "Houston Five" are the pastors whose sermons and sixteen other categories of information were subpoenaed by the Houston mayor in the course of their opposition to the mayor's ordinance that would have allowed biological males into the showers, locker rooms and restrooms of females both public and private in Houston. That ordinance was defeated at the ballot by Houston voters by a percentage of 61 – 39. SB 6, passed by the Texas Senate over a week ago and now pending a hearing in the House of Representatives, would prohibit cities and school districts in Texas from adopting similar ordinances, using variable and vague definitions of "gender identity" as a new protected class. RESOURCE INFORMATION: To put this in perspective, the total U.S. Population is about 318 million, of which (according to a study of the Williams Institute, UCLA School of Law) 700,000 are identified as transgender. That reflects .002 (two-tenths of one percent) of the population. Moreover, a highly credible study by respected scholars Lawrence Mayer and Paul McHugh of Johns Hopkins University (Sexuality and Gender; Findings from the Biological, Psychological and Social Sciences) completely refutes any claims that this condition is immutable. SB 6 is nothing more than a rational and just response to these "whack a mole" agenda of city and school district level ordinances that are completely unnecessary even to address the "needs" of the .2 of one percent who are gender confused. It is abominable public policy to jeopardize the privacy, safety and freedom of 99.8 percent of the population, which exactly what happened in San Antonio, Houston, Dallas, Ft. Worth, Mesquite and Dripping Springs just as starters toward the 1900 incorporated cities and 1100 ISD's in Texas. ADDITIONAL SB 6 RESOURCES AVAILABLE AT WWW.USPASTORCOUNCIL.ORG and help support the "TEXAS TOILET SEAT AWARDS" by joining the "TEXAS PASTOR COUNCIL". The whole world was shocked by the rise Donald Trump, but there was one man who had been plotting it for years: Roger Stone. 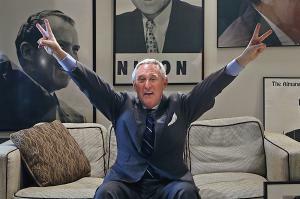 Diving deep into the mind of the master manipulator, Get Me Roger Stone on Netflix provides a raw perspective on the transformation of American politics. Coming exclusively to Netflix on May 12, 2017. Roger Stone is a seasoned political operative and pundit. A veteran of nine national presidential campaigns, he served as a senior campaign aide to three Republican presidents. An outspoken libertarian, he is the author of the New York Times bestseller “The Man Who Killed Kennedy: The Case Against LBJ” and has written for Fox Opinion, Breitbart News, the Daily Caller and the Op-Ed page of the New York Times. A well-known voice in politics for over forty years, Roger Stone often gives insights on behind-the-scenes political agendas on Fox News and InfoWars and has been banned by CNN and MSNBC for his outspoken and politically in correct criticism of Bill and Hillary Clinton. 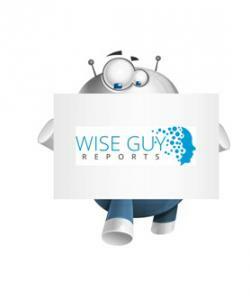 WiseGuyReports.Com Publish a New Market Research Report On – “Submarine-launched Missile 2017 Global Market Expected to Grow at CAGR 4.74% and Forecast to 2021”. The analysts forecast the global submarine launched missile market to grow at a CAGR of 4.74% during the period 2017-2021. The report, Global Submarine Launched Missile Market 2017-2021, has been prepared based on an in-depth market analysis with inputs from industry experts. The report covers the market landscape and its growth prospects over the coming years. The report also includes a discussion of the key vendors operating in this market.